Republic Day in the Maldives is celebrated on November 11. This public holiday commemorates the abolition of monarchy and establishment of the Republic of Maldives in 1968. The Maldives became a British protected state in 1887, when the Sultan of the Maldives signed a contract with the Governor of British Ceylon Arthur Hamilton-Gordon. In 1953, there was an attempt to establish a republic, but it failed. Another attempt was made in 1959, it resulted in the establishment of the short-lived United Suvadive Republic on three southern atolls. In 1965, the Maldives signed an agreement of the United Kingdom and officially gained independence. The sultanate existed for a few more years. In March 1968, a national referendum was held. 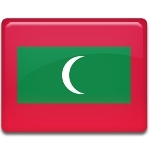 In this referendum, Maldivians voted in favor of the abolition of the sultanate. The Second Republic was officially proclaimed on November 11, 1968. The anniversary of this event was designated as a public holiday. Maldives Republic Day is celebrated nationwide with official speeches, ceremonies, parades, marches and over festive events. There are two main types of parades and marches. One involves marching bands, while the other involves smartly dressed children.